Dr. Tonne specializes in the treatment of pelvis and acetabular fractures, as well as the treatment of injuries throughout the arms and legs. Being able to intervene and restore function to injured patients is what drives him in his daily work. Dr. Tonne also routinely performs knee and hip replacements for patients with chronic joint pain due to arthritis. Minimally invasive direct anterior hip replacement is an option for most surgical candidates with hip arthritis. Dr. Tonne recognizes the importance of educating future physicians. He holds a faculty position at the University of Tennessee Medical Center. He is also on the faculty of AO North America, a premier organization dedicated to the improvement of care of patients through education and research. 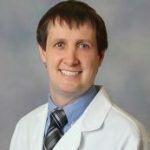 Brian M. Tonne, M.D., joined University Orthopedics in 2012. At an early age working at his family’s business on the Ohio River, Brian recognized his passion for helping people and fixing things and appreciates the opportunity to continue to do both as an orthopaedic physician today. He graduated with honors from the University of Cincinnati in Ohio with an undergraduate degree and continued on to earn his M.D. from the University of Cincinnati College of Medicine in 2006. Dr. Tonne completed an internship in general surgery and a residency in orthopaedics at Case Western Reserve University School of Medicine in Cleveland, Ohio. He also recently completed a fellowship in orthopaedic traumatology at Carolinas Medical Center in Charlotte, North Carolina.